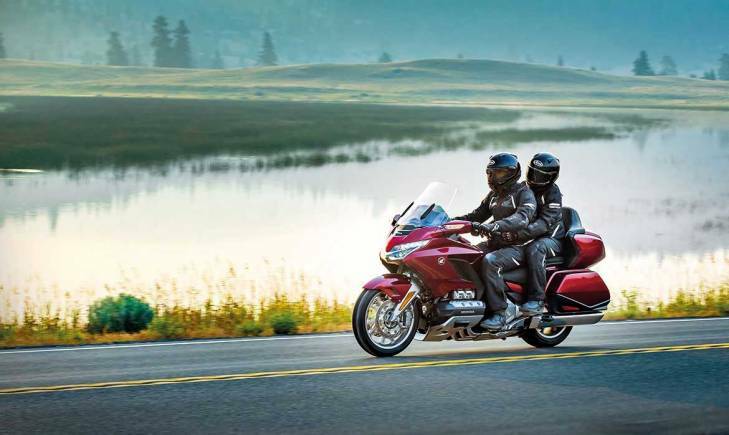 Japanese motorcycle manufacturer, Honda, has laden its Goldwing with as much car-like tech as possible. While airbags were a unique feature in the bike until recent times, Honda may introduce a new feature which will drastically improve motorcycle safety. A new set of leaked patent images show that Honda may be working on the addition stereoscopic cameras to the Goldwing. The technology involves two cameras being equipped on the front fairing set far apart from each other at supplementing angles. This will create stereoscopic images of the situation surrounding the bike. The images will address any unusual activities on the road such as obstacles, vehicles or pedestrians that can cross the rider’s path. If the system detects the possibility of an accident, it will take necessary steps like reducing speed or flashing warning lights to alert the rider. This system is known as “Honda Sensing” in Honda cars. Although this system can prove vital during long highway riding or exhausting journeys, its reliability is doubtful in everyday bumper-to-bumper traffic. Hence, it will be a while before Honda can successfully implement this technology on their production motorcycles. However, the new tech may be introduced at one of the big auto shows lined up for this year. That said, the investment and research for increasing safety in motorcycles has gained prominence over the years. Companies like Ducati and BMW have begun their work on developing radar-based safety assistance technologies.